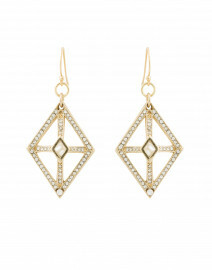 Thoughtful details and nonchalant silhouettes are key to Peserico's modern, and elegant aesthetic. 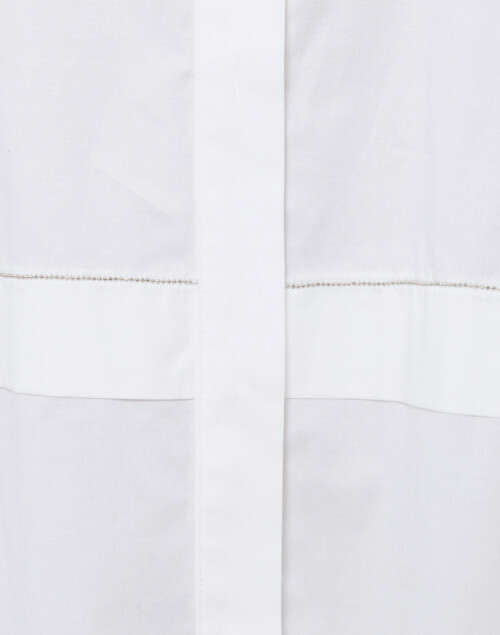 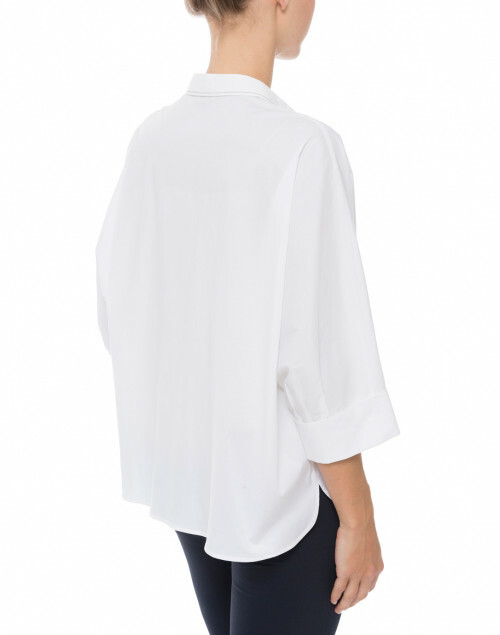 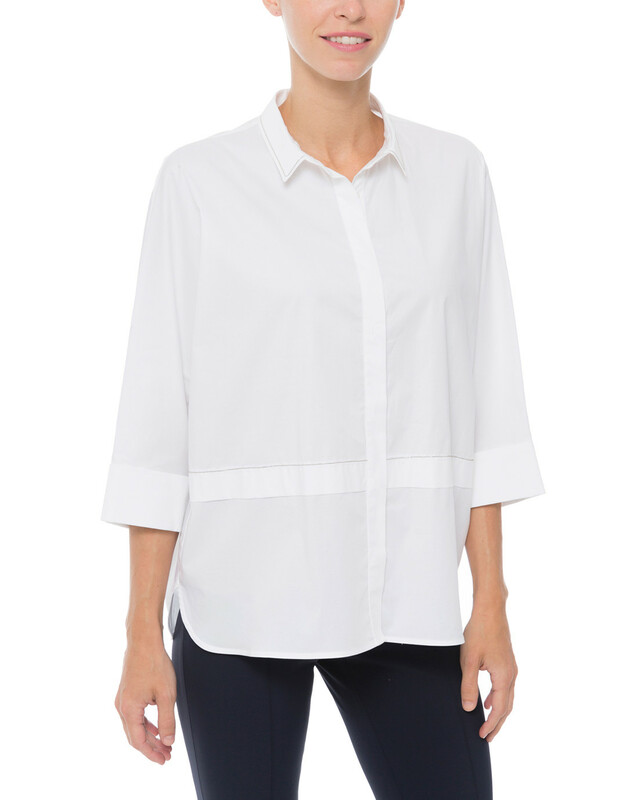 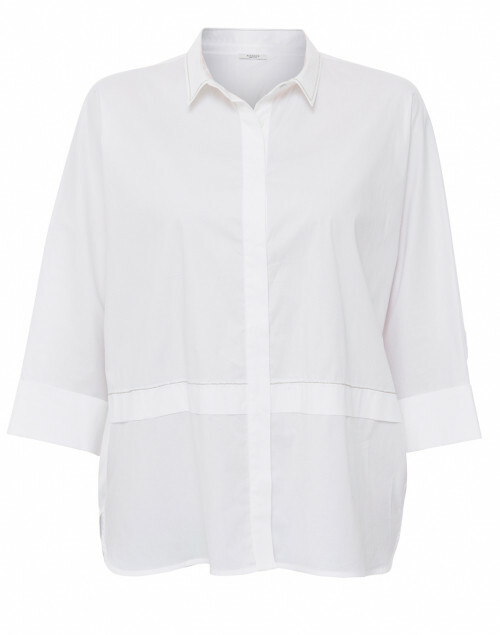 This white button down is made in Italy from lightweight stretch cotton poplin fabric and cut to flow loosely over the figure. 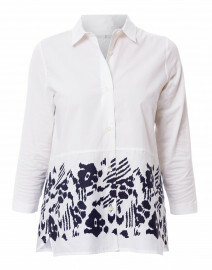 The brilliant detail on the collar and center front adds a modern touch to this style. 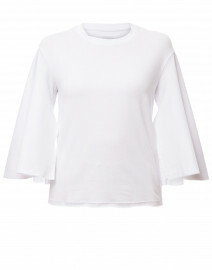 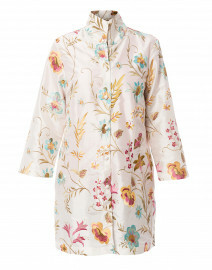 Wear it with slim pants and a leopard clutch for a casual, yet elegant look. 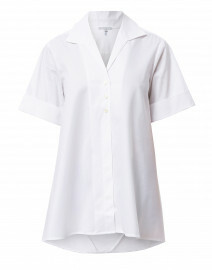 Length 24" 24.5" 25" 25.5" 25.5" 26"
Bust 50" 51" 52" 54" 55" 57"
Waist 47" 48" 49" 52" 53" 55"
Sleeve Length 17.5" 18" 17.5" 17.5" 18" 18.5"